This edition also includes: Complete Cross References and Footnotes, Introductions and outlines of each book of the Bible, Durable laminated softcover, Page-edge Indexing. New American Bible (NABRE) Catholic Readers Edition. Material: Paperback - 1661 pages. 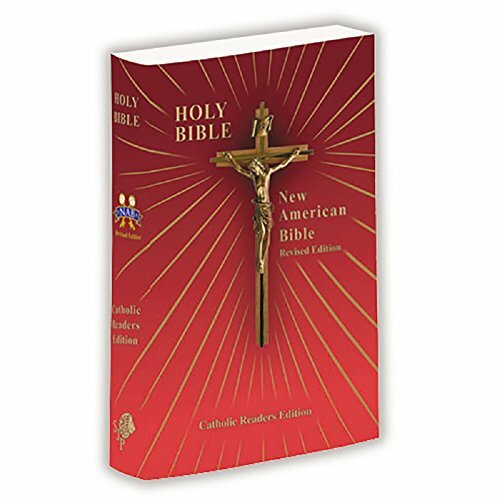 This edition includes the approved New American Bible text (with Revised New Testament and Psalms) for Catholic Liturgy. The Catholic Mission Edition is unique because it contains the Dogmatic Constitution on Divine Revelation. Known in Latin as "Dei Verbum" or "Word of God" this vital teaching document characterizes the Catholic Church's guidance on reading and interpreting the Word of God. If you have any questions about this product by Christian Brands, contact us by completing and submitting the form below. If you are looking for a specif part number, please include it with your message.